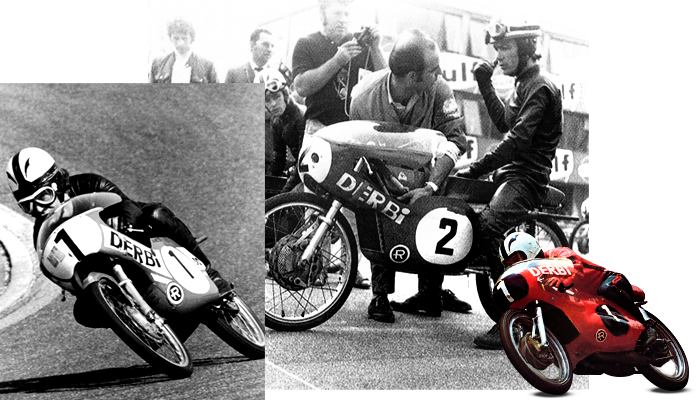 1971 Repsol makes their debut in the Motorcycle World Championships. 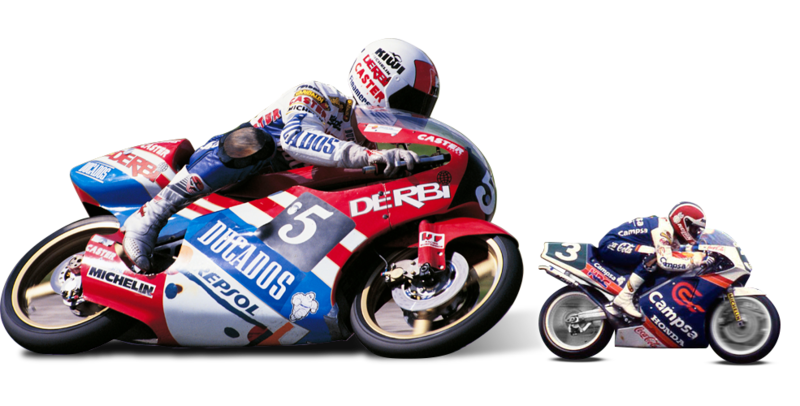 Repsol makes their debut in the Motorcycle World Championships with Derbi and Ángel Nieto, who wins the championship in the 125 cc category. 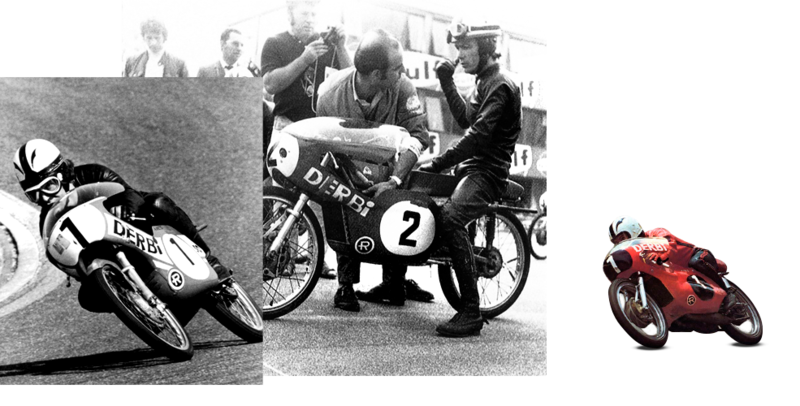 This is the start of a long history that links Repsol to motorcycling. 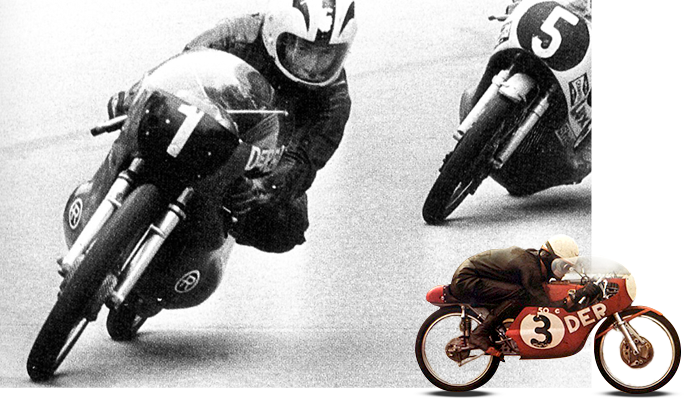 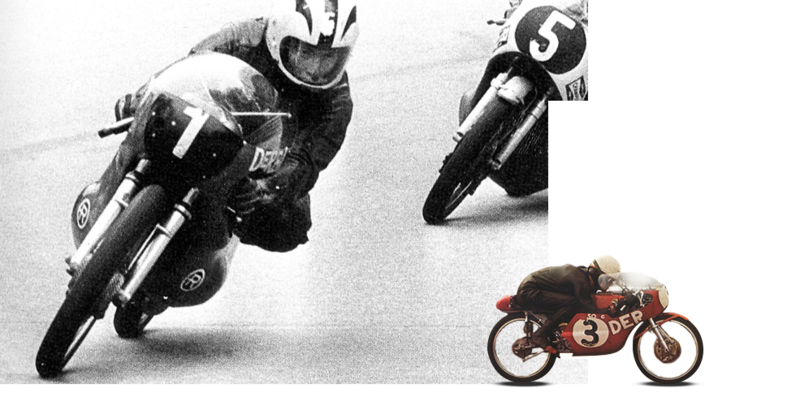 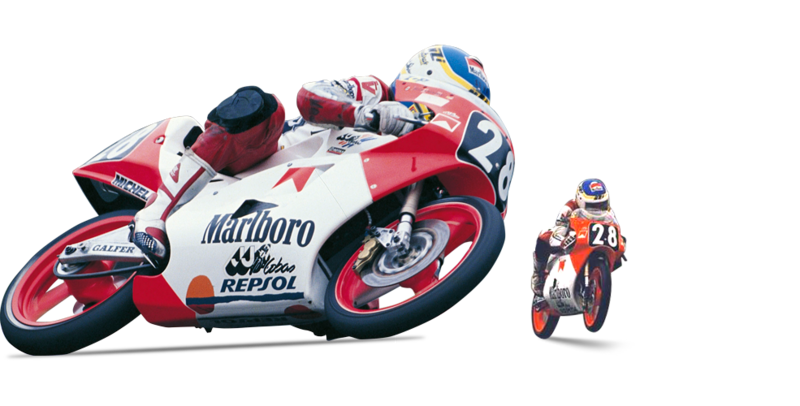 Ángel Nieto, at the height of his career, wins the world championships in 50 cc and 125 cc, with the sponsorship of Repsol. 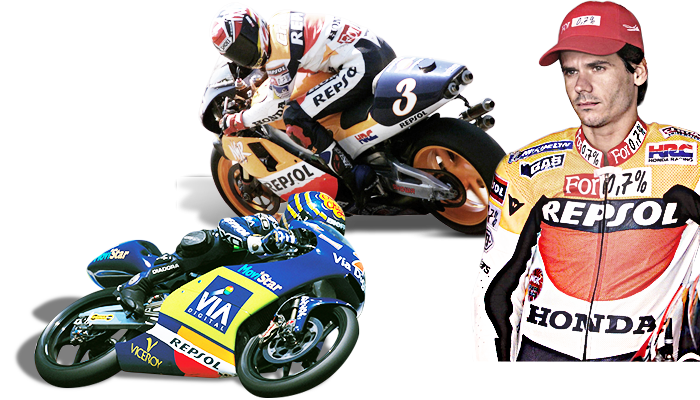 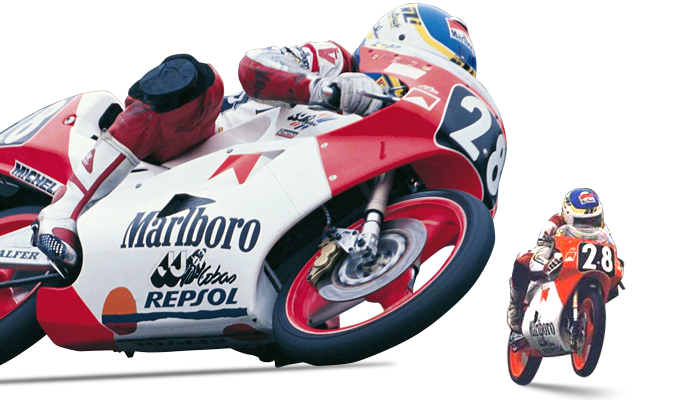 Repsol celebrates the championship titles of Jorge Martínez “Aspar” in 80 cc and 125 cc. 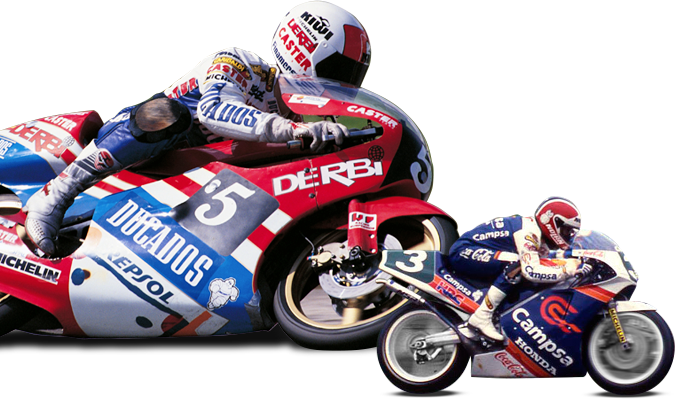 In addition, this is the year that Sito Pons wins the 250 cc championship wearing the Campsa colours. 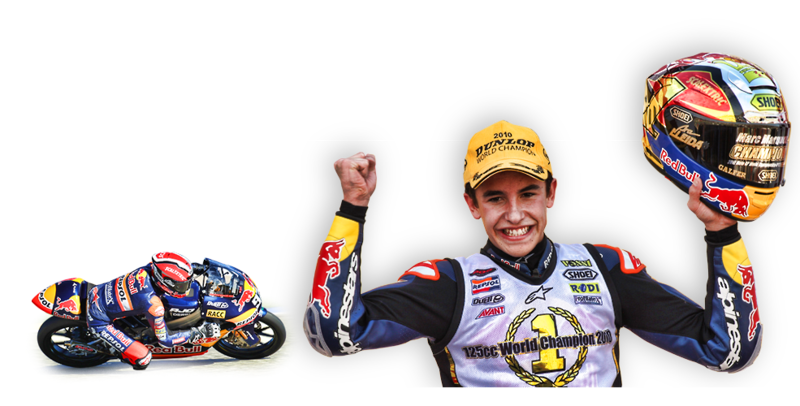 Álex Crivillé wins the 125 cc World Championship. 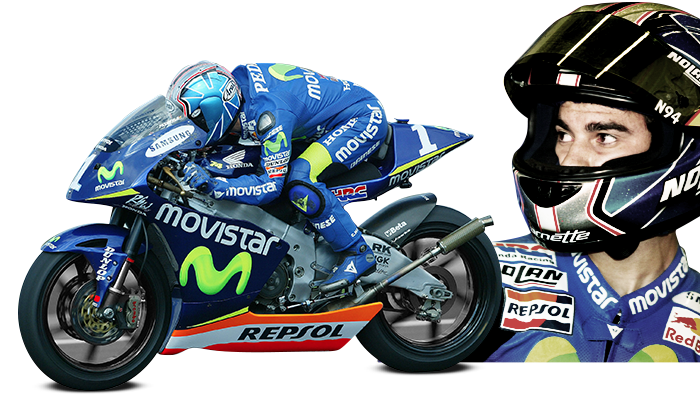 This is the start of his climb to upper categories in the ever-present company of his sponsor, Repsol. 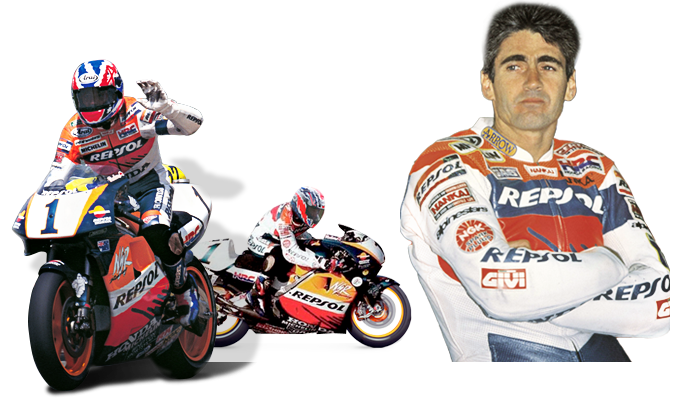 The Repsol Honda Team is created, and with Mick Doohan an era of supremacy is developed in the ultimate category of the World Championships. 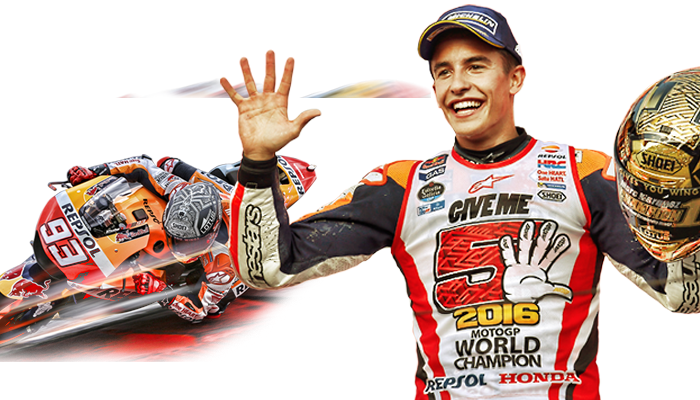 He wins four consecutive championships, hand-in-hand with Repsol. 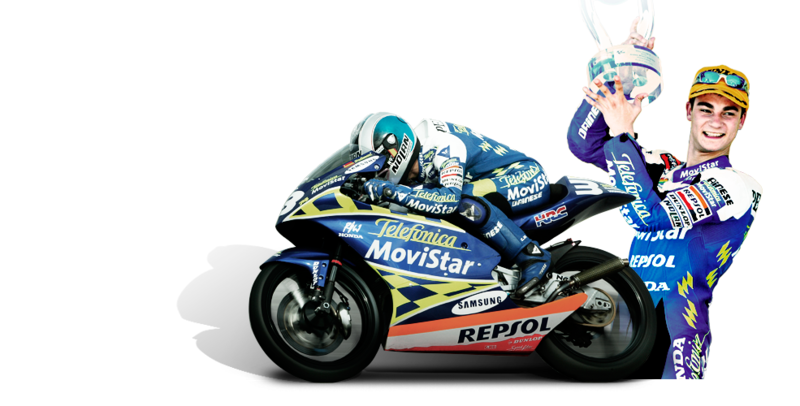 The Spaniard Alex Crivillé makes history: he becomes the first Spaniard to win the World Championship in 500 cc. 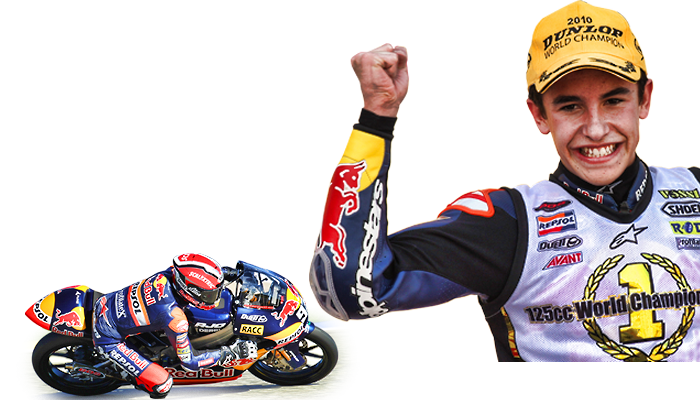 Emilio Alzamora wins in 125 cc in Buenos Aires with Repsol. 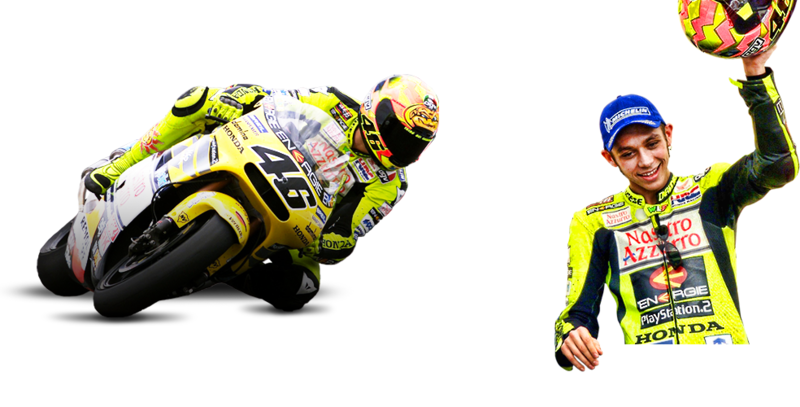 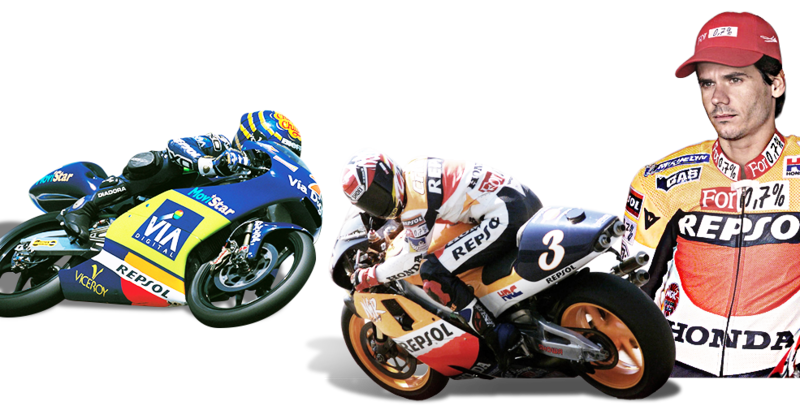 Rossi wins the last world championship of the 500 cc and 2-stroke era, with Repsol. 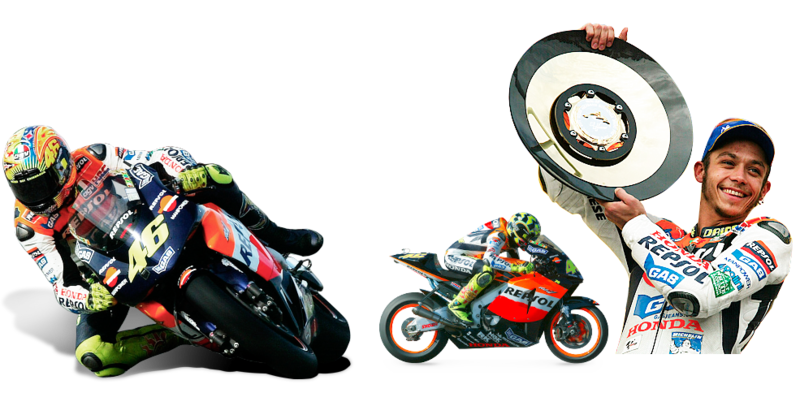 The MotoGP era is approaching, and Repsol will be there as a key player in the forthcoming years. 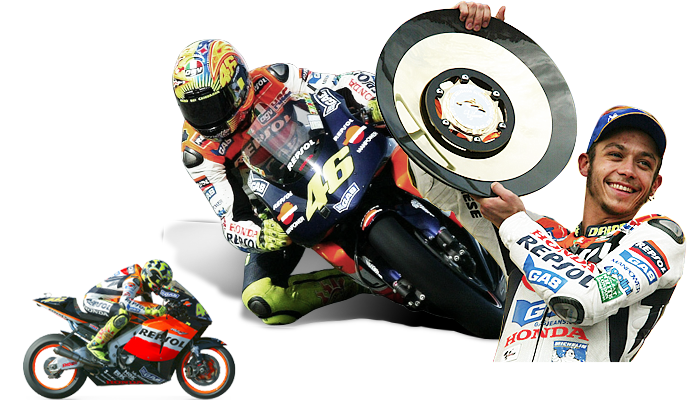 In the first year of MotoGP, Rossi is declared champion with the Repsol Honda Team, at the controls of the Honda RC211V. 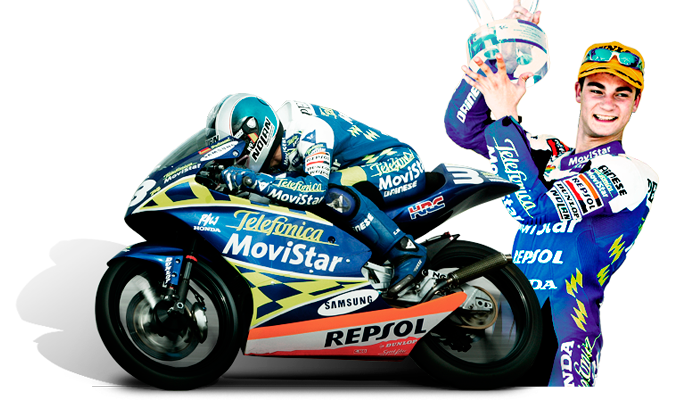 Rossi and the Repsol Honda Team repeat their success in 2003, the same season in which, together with Honda and Repsol, a very young Dani Pedrosa wins the championship in 125 cc. 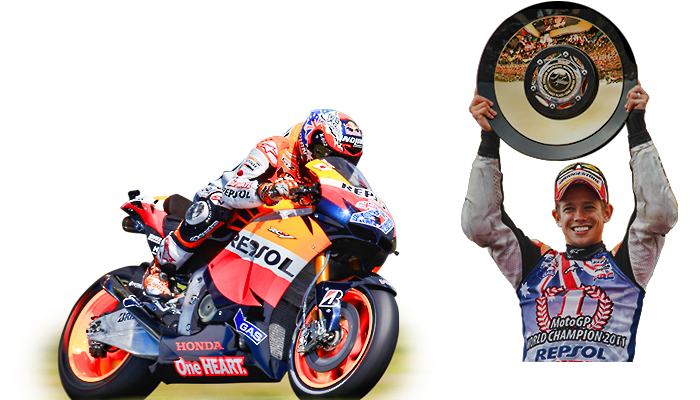 The triumphs of the Repsol Team continue to increase with Pedrosa’s second championship win in 250 cc. 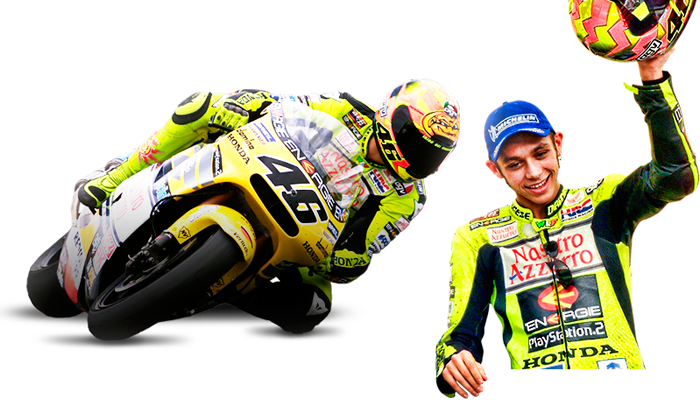 A star is in the making, one who has much to offer today. 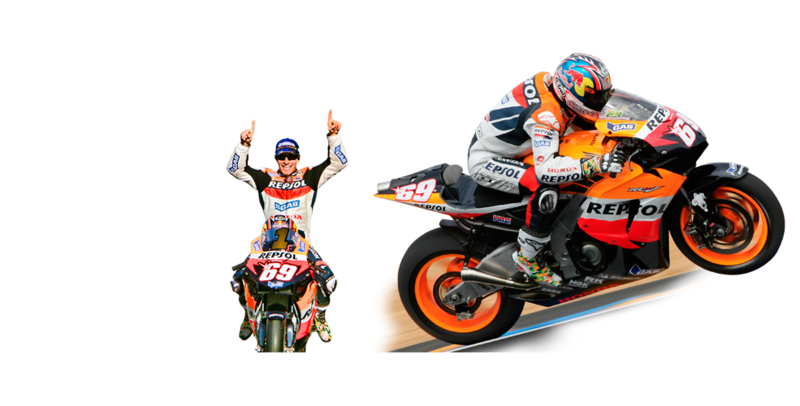 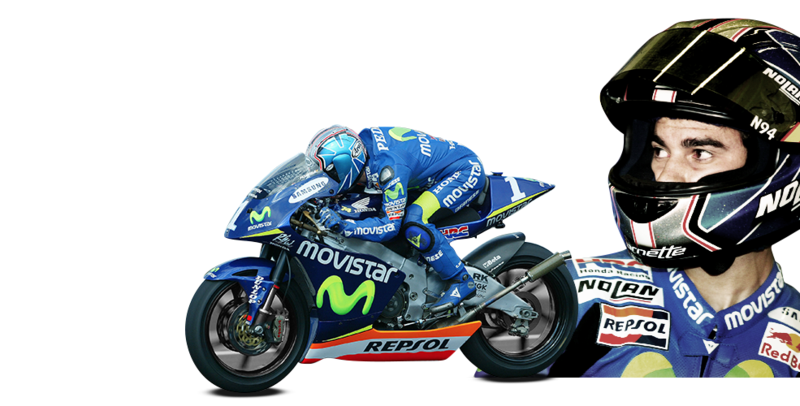 Nicky Hayden, in a close battle with Valentino Rossi, wins his first MotoGP championship, coinciding with the last championship with 990 cc motorcycles. 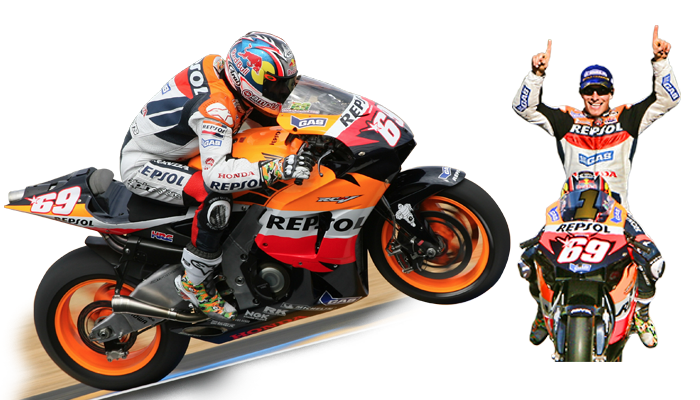 A year to remember as Dani Pedrosa also made his debut in the top class. 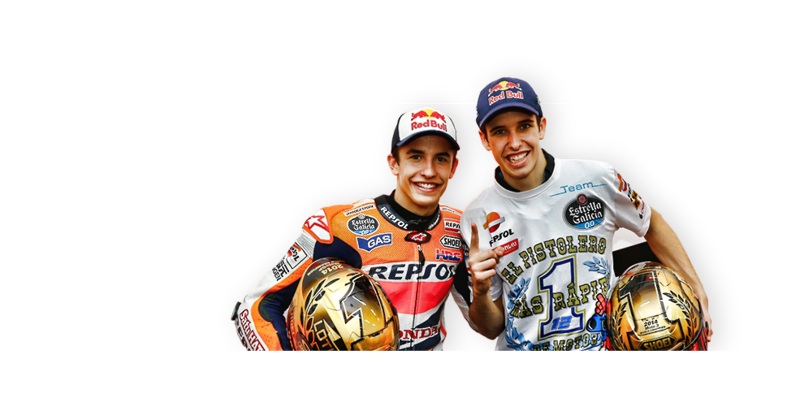 Marc Márquez enters the Pantheon of Champions, winning the 125 cc championship with the sponsorship of Repsol, a partnership that will last until this very day and will produce many future successes. 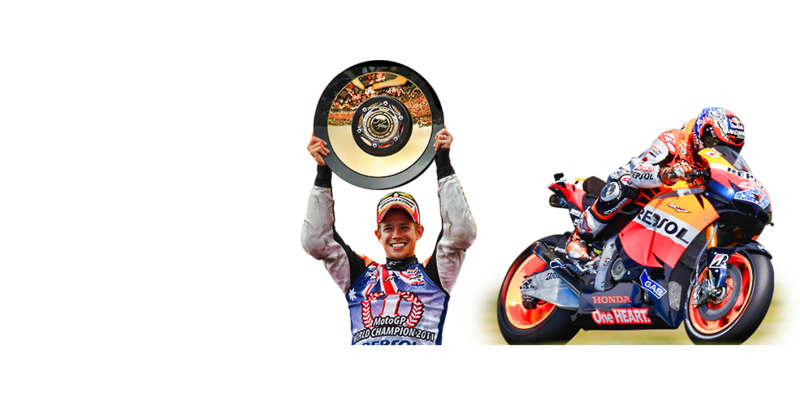 The Repsol colours return to the top at the Motorcycle World Championships with the Australian Casey Stoner, who wins the MotoGP riding a Honda RC212V. 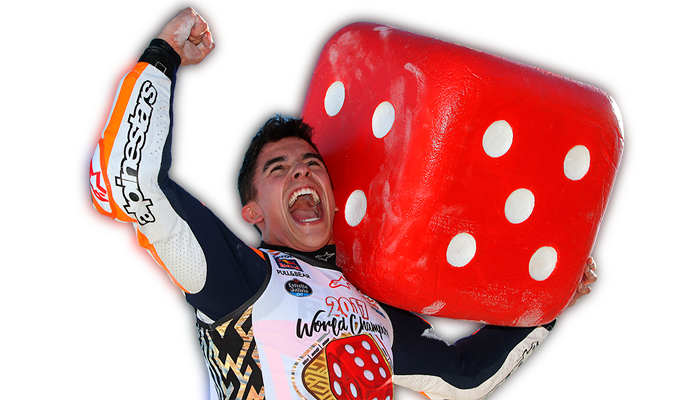 Marc Márquez is declared World Champion in Moto2. 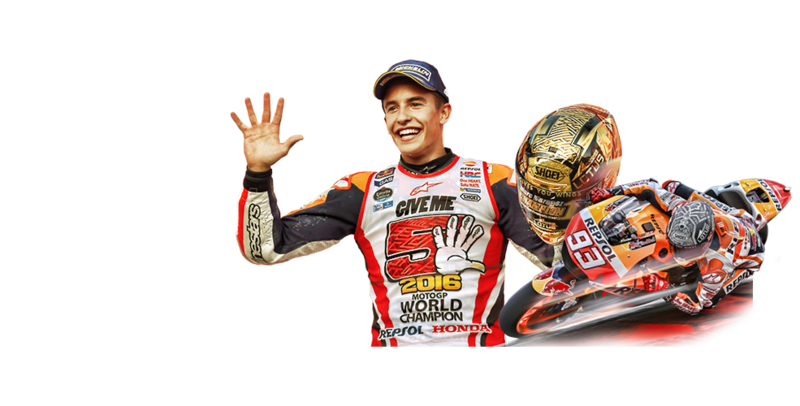 The world celebrates the forthcoming rise of the most promising rider to MotoGP alongside Repsol. 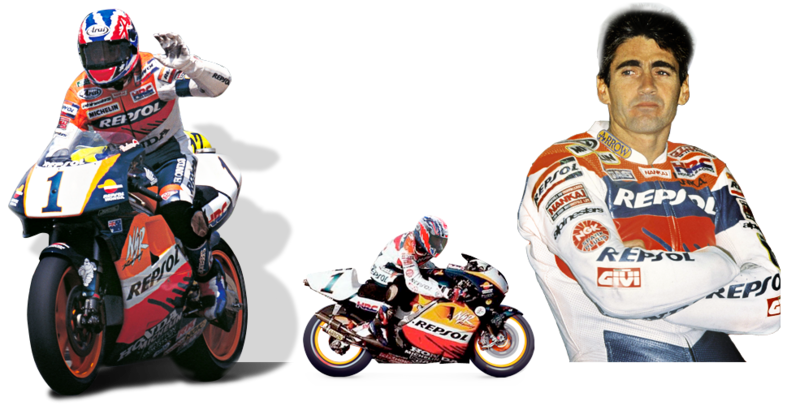 Marc Márquez is declared the youngest MotoGP World Champion in history. 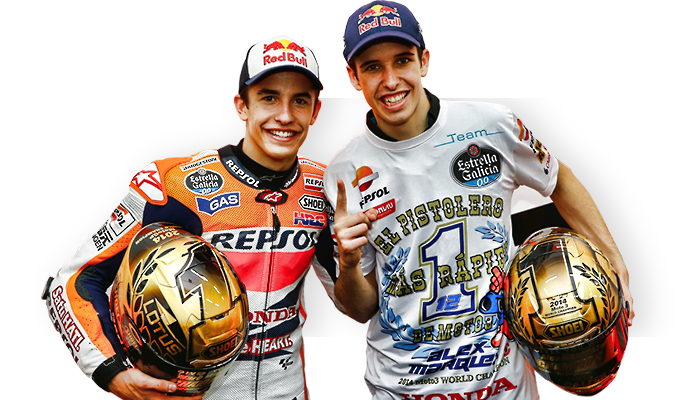 The Márquez era has started, a period with no end in sight, with the colours of the Repsol team draped around it. 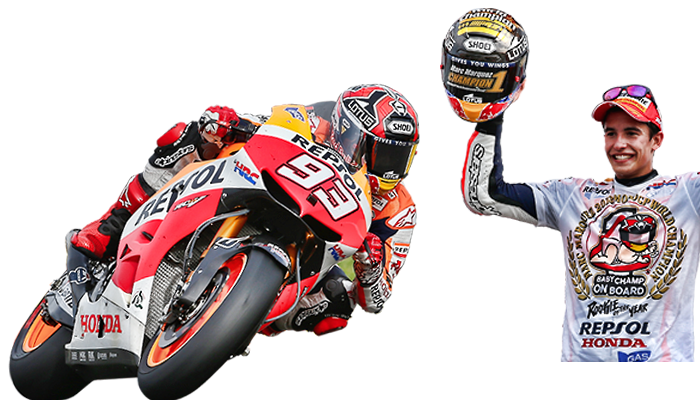 Marc Márquez continues to break records, becoming two-time world champion in MotoGP. 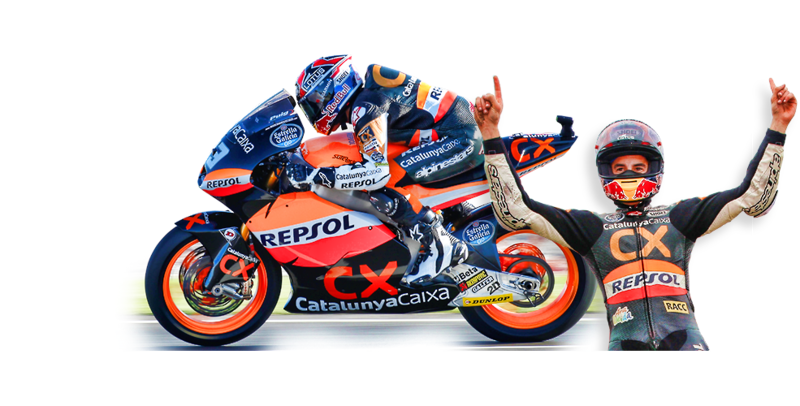 His brother Álex Márquez is declared Moto3 World Champion with Repsol. 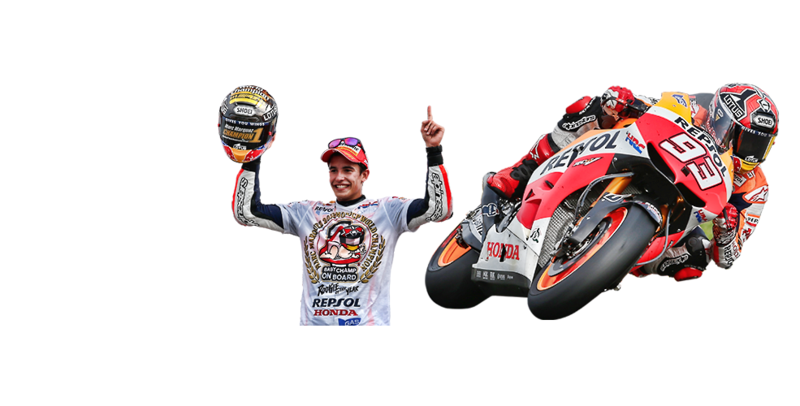 Marc Márquez wins his 5th World Championship in all categories, the 3rd in MotoGP. 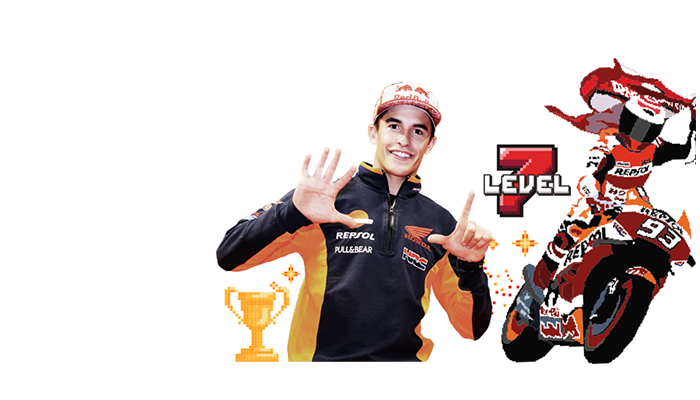 He is the youngest five-time champion in history, and this is an achievement he has won whilst competing at Repsol’s side. 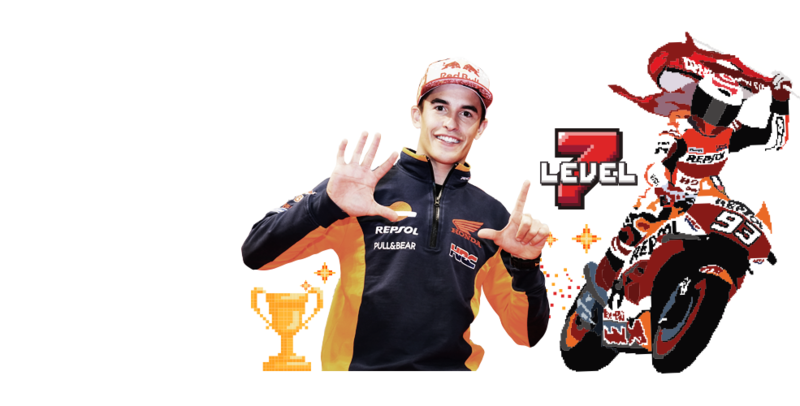 Marc Márquez wins his sixth World Championship alongside Repsol, making him the best rider of his time. 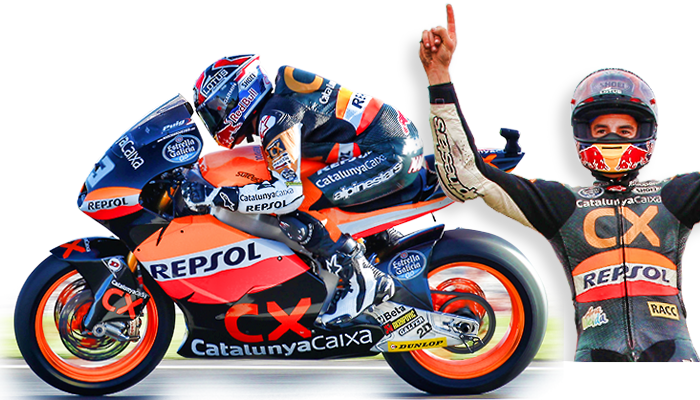 The rider from Cervera wins for the third year in a row, marking his fifth Championship title in the six years he has competed in the top class supported by Repsol.